OSCAR B. CASTILLO (Caracas, 1981) has been living between Venezuela and Europe for some years. He traveled widely in Europe before settling in Barcelona, Spain, where he studied fine arts photography. However, the life he has lived for many years, comprised of travels and social activism, paperless immigrant life, and detention centers, has taken him more and more into photojournalism and documentary work. 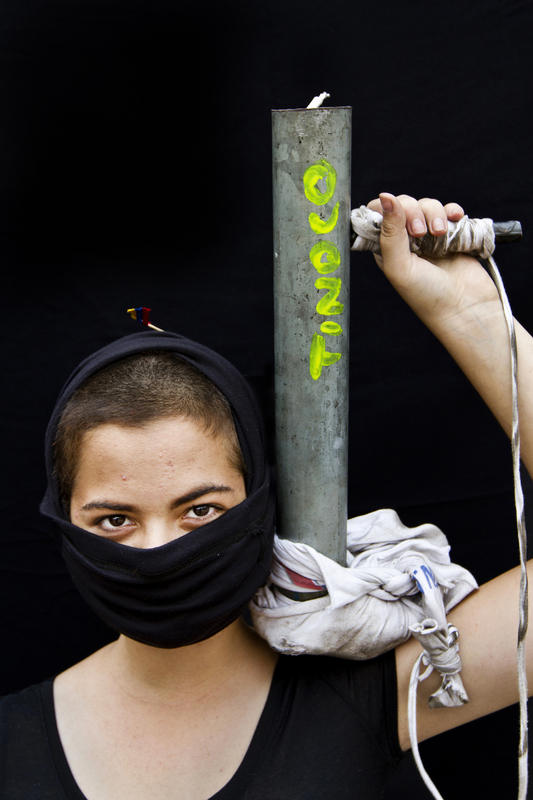 His photographic work is related to social and political issues, focusing mainly on Latin America. He has also developed a parallel career as a teacher and assistant in international photojournalism workshops and in participatory photography programs. Oscar was recently selected for a Magnum Foundation Emergency Fund Grant to continue his study of the causes and consequences of violence in Venezuela. Recent activities include a series of conferences and workshops in Bogotá, Colombia as well as a cycle of conferences in Oslo, Norway, about photojournalism and human rights, organized by the Fritt Ord Foundation. As a student, he has participated in workshops in Cartagena, Colombia, given by the Gabriel García Márquez New Journalism Foundation; he was selected for the Eddie Adams Workshop, where he was awarded the Tim Hetherington Special Award. Oscar has exhibited and published his work in Japan, France, Italy, Spain, Austria, Germany, Colombia, Venezuela, the UK, and the USA. He is a member of Fractures Collective, a documentary photography group with members from France, the USA, Austria, and Brasil. Follow him on Instagram or contact him via email. "OUR WAR, OUR PAIN" seeks to go deep into the labyrinth of violence in Venezuela to watch closely those characters that star in this complex story line. FOR MANY YEARS, I have worked to document and gain a better understanding of the causes and consequences of the situation of violence being experienced in Venezuela in general, and particularly in Caracas. This work looks to provide a human face for a tragedy that goes beyond the red numbers on the weekend and the bloody events. Through documentary photography, portrait, and close contact, I seek to capture stories that, rather than denounce or accuse, build bridges of communication between characters often unknown and mostly misunderstood. Our current drama unfolds on all levels of daily life and demonstrates a deep split in the Venezuelan morale and mentality. These photographs, rather than simple images of violent acts, seek to be an intimate document that reflects this fracture and generates dialogue and knowledge—a small contribution to overcome this difficult time. These portraits are a subset of the larger „Inside the Barricades“ series. 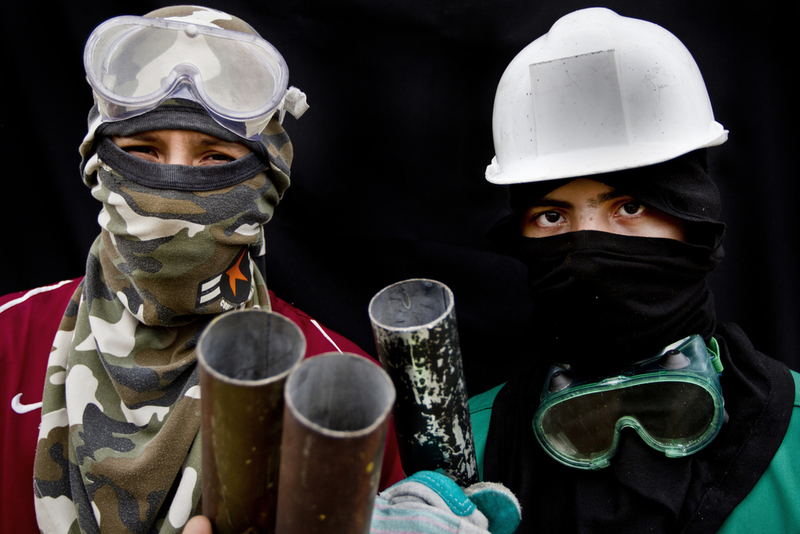 They were made in San Cristóbal, Táchira State, where the recent political uprising of early 2014 first began. This series aimed to have a deep look at the dynamics working inside this violent socio-political unrest, while trying to get a better understanding of the reasons that pushed these young protesters inside a wider cycle of violence that, with these riots, has given birth to a new kind of violent actor. 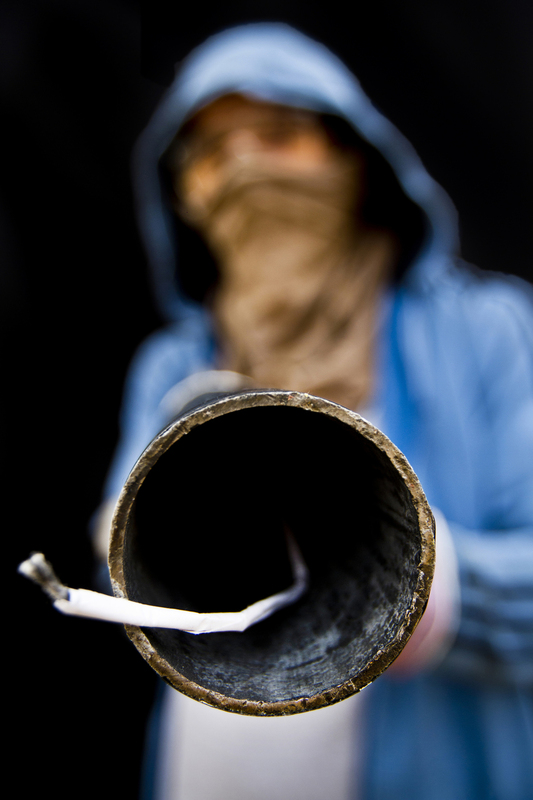 All these pictures were taken in the field during breaks in the clashes between security forces and protesters. “Gochos” (the name given to natives of San Cristóbal and the region) have demonstrated a rare drive in contemporary Venezuelan society: an unwavering will to fight for their ideas. Although this is not a “popular revolt,” there is a widespread organized movement (I think here it is important to note the mix of progressive center-leftists, traditional parties, and extreme right-wing activists, a mixture that is a very particular condition of Venezuelan opposition) that aims to garner media attention to portray what is happening in the country and to show Venezuelans that things are far from normal. As of this writing, in 2014, the situation in San Cristóbal has gone from bad to worse. The elevated middle-class areas of this Andean city are completely blocked by a solid system of barricades that can reach up to three meters high. The protesters organize themselves into teams to defend their “free zone.” With stones, Molotov cocktails, and homemade explosive devices, they spend all night vigilantly patrolling the streets and many times getting into confrontations that have taken lives—between February 12th and April 2014, at least forty-three people have died, not just in San Cristóbal, but also in similar conditions around the country. Amidst the turmoil, the opposition is primarily made up of a group of young people, some of them practically kids, who demand social progress and who are fighting, with little guidance, for goals they don’t seem to completely know or understand. Many of them have the conviction and the motivation, despite a government that sees them as the enemy. They continue to fight solely for the right to be heard.